Most people automatically reach for a pan full of hot oil when they come across breaded meat. It's breaded, so we have to fry it, right? Wrong! 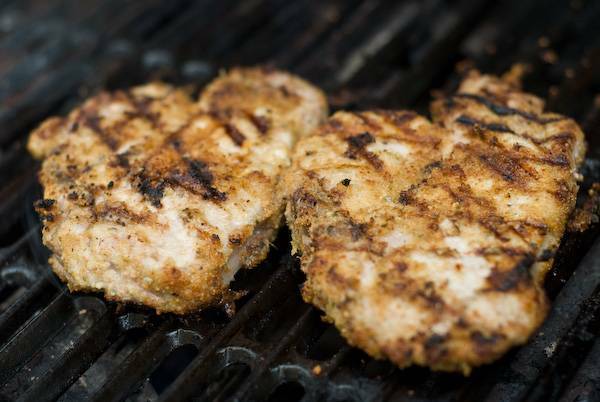 Ever thought about grilling that breaded pork chop? No? Do golden brown breadcrumbs infused with the smoke from an open flame sound good? Of freakin' course it does! Not only are these breaded and grilled chops delicious, they are also MUCH better for you than when fried. The only similarity these chops have with their greasy fried cousins is the golden brown color. We're not even going to dredge these and create a batter, we're just going to give them a thin layer of some delicious crumbs. Let's do this! 1Place the bread crumbs in one bowl and the olive oil in another bowl. 2Coat each side of the pork chops with oil and then press them into the bowl of bread crumbs so that you thoroughly coat all sides of the chops. Press the chops firmly into the breadcrumbs to make sure you get good coverage and sitckage (well, it should be a word...). 3Light the grill and set to medium heat. 4This is important! Using tongs and a rolled up paper towel drenched in cooking oil (you can use the excess olive oil), brush the grates to coat with oil so that the chops don't stick. 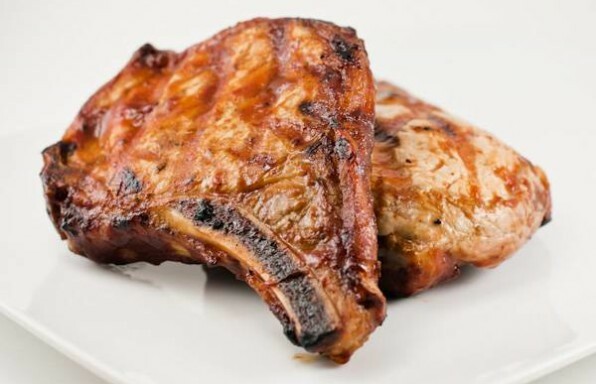 5Place the pork chops on the grill and grill directly with the lid closed for about 6 - 7 minutes on each side (times depend on the thickness of your chops and the temperature of the grill). You can check the pork's doneness by picking them up on one end with tongs. Meat firms up when cooking. Remember how flexible they were when raw? Yeah, well, you want the opposite of that. 6The bread crumbs should be golden brown with some nice grill marks, delicious! I was looking for something a little different than just grilled pork chops and ran across this recipe. It worked really well! I used Panko (all I had), seasoned with dried Italian seasoning, garlic powder and garlic salt. We cooked these on our Kamado Joe grill. Nice and moist inside, crispy on the outside! We will be making these again! Turned out awesome for me! Stayed nice and moist. I squeezed half a lemon into the olive oil before I coated the pork chops. Just added to flavour. I thought this was a bit odd, but it turned out great!